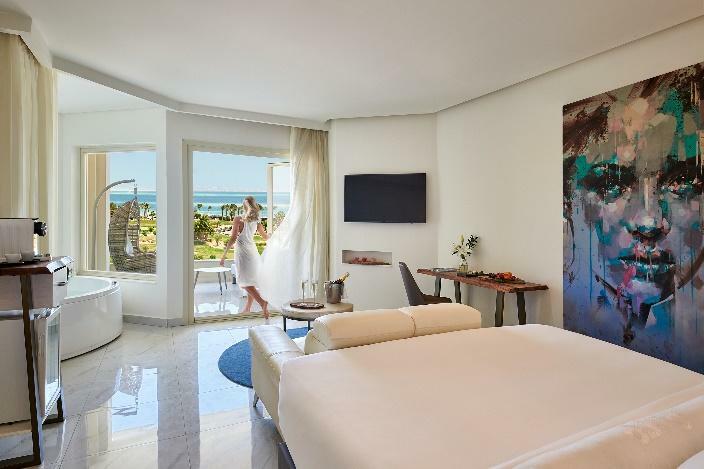 ALDAU Development Hotel Division, a well-known premium quality leader in the hospitality sector, recently announced an addition to its portfolio of best-in-class properties in Hurghada – introducing the brand-new, 5-star boutique hotel Steigenberger Pure Lifestyle. You can kick-start 2019 with an amazing vacation at an exclusive property on special promotional rates, where personalized service and a unique lifestyle concept pamper your body and soul. 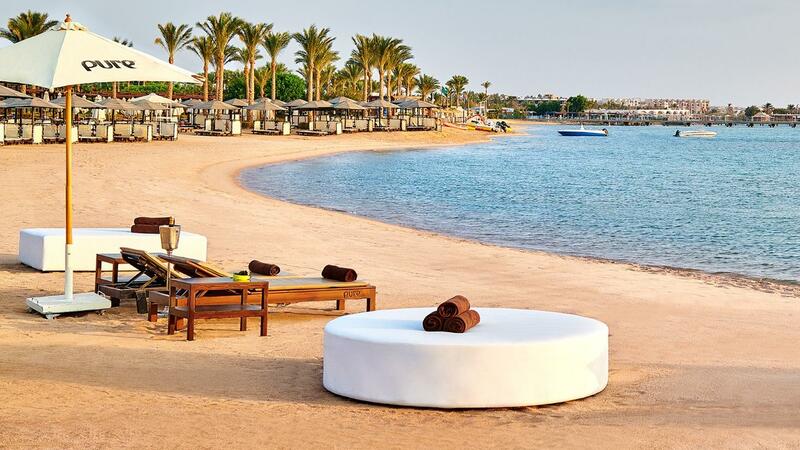 Steigenberger Pure Lifestyle is conveniently located only 5 km away from Hurghada International Airport. The unique accommodation concept features 115+ exquisite suites in four categories: Standard, Jacuzzi, Swim-up and Penthouse Suites with the majority overlooking the sea, enhanced with bohemian design elements and equipped with a Couple Jacuzzi, 49 inch smart TV with built-in media hub, an Espresso machine, large private terraces/balconies with a swinging chair, make-up mirror, safe and unlimited free high speed Wi-Fi. The serene sleeping experience is provided with the two-layered mattresses from the Norwegian luxury designer “Jensen”. The property features enormous amounts of ultra-modern and exclusive facilities such as Party Pool with DJ booth, Play Pool with built-in billiard tables, private cabanas, 180-degree pool showers, mobile check-in room keys and more. Part of “Pure Experience” concept is presented through ultimate music broadcast Pure Beats featuring pure vibes and unparalleled lifestyle available on Soundcloud for its guests and fans. 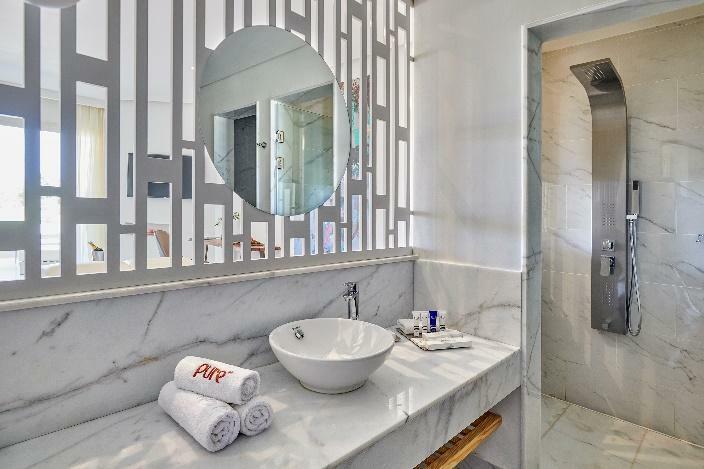 “Steigenberger Pure Lifestyle is the latest premium product of ALDAU Development Hotel Division, offering a new dimension of luxury and enjoyment. We have positioned the hotel as Unique, Chic and Trendy as it presents a variety of stunningly modern and exclusive features to the destination, such as swim-up pools, unique Food & Beverage concept delivered in Gourmet Market with 8 live cooking stations, built-in pool billiard tables and more. We are pleased with feedback received from guests visiting our property and hope to continue delivering best-in-class hospitality experience in the future,” Mr. Lars Geweyer, CEO of ALDAU Development Hotel Division, said. Steigenberger Pure Lifestyle features exclusive dining options with 9 enticing restaurants and 10 bars offering best-in-class 24 hours “Lifestyle All-inclusive”. The centerpiece of the stunning Food & Beverage offering is internationally inspired “Gourmet Market” serving delicious culinary options for every taste to satisfy all cravings with 8 live cooking stations. 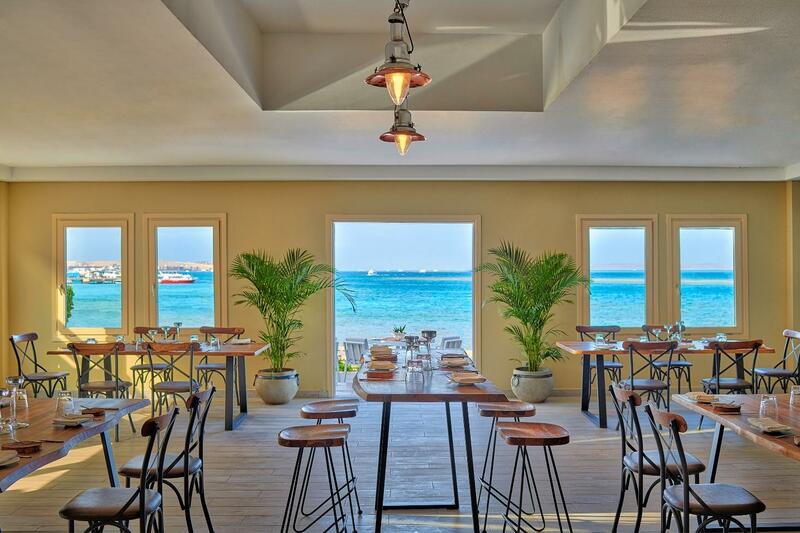 In addition, the hotel brings ultra-modern “Alex Beach Club and Restaurant” that guarantees an exceptional experience in a fancy ambiance with immersive weekly beach parties. In addition to the hotel’s offerings, the guests of Steigenberger Pure Lifestyle will be granted access to all facilities of the quality leading “Steigenberger ALDAU Resort” which includes: Algotherm Thalasso & Spa, ALDAU Golf Course, Ilios Dive Club & Aqua Center and more.